This album is, immediately, a flurry of musical segues that do not necessarily form a cohesive song all the time. This is within hearing the first two minutes of the first song and lead single 'Thoughts Like Hammers'. A screeching guitar note leads to tribal drums, wails and tremolo picked riffs, dies out, leads to the main verse with a between-groove-and-progressive riff and then out of nowhere comes organs and electronic synth, and then the next verse in clean, almost crooned vocals. Whilst this is sure to spell disaster in the hands of lesser beings like Between The Buried And Me, Enslaved manages to pull this off rather well. Getting far away from the simple song structures of 2010's 'Axioma Ethica Odini', the over-the-top theatrics of RIITIIR should not be alarming to fans of the genre. Having earned a lot of praise for their past few albums, RIITIIR created quite a lot of anticipation amongst the heavy metal press. 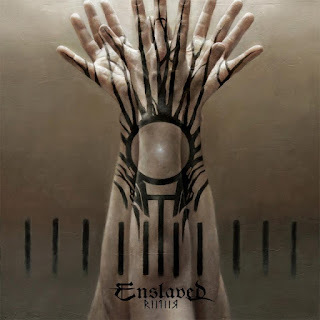 Heralding a style of music that is also a precursor of the viking metal genre, Enslaved has become quite a progressive metal powerhouse after the emergence of Opeth in the first years of the 21st century. So does the album live up to its expectations? No. 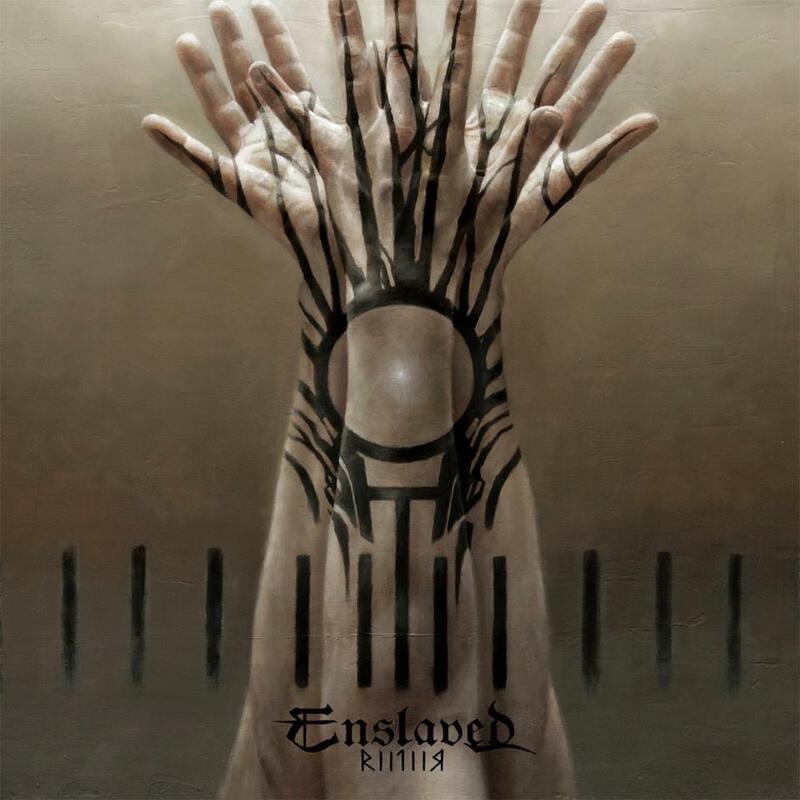 Like it's predecessor, Enslaved seems to be plagued by the same problems of blunt songwriting. Despite the obvious headway to 70s rock, the music lacks serious punch at vital moments, choosing instead to go for more of feel than technicality in their music. If that is the case, the song lengths have to be shortened. Songs meander on and on even after repeated listens, without enough distinction in between to be dramatically interested. This is still a very ambitious, grandious effort, but where Axioma Ethica Odini excelled even with the same elements, RIITIIR takes for granted the progressions of a song without sustaining interest from one movement to another. There are strong moments on the album, from the introduction song, to the obvious highlight of the album, 'Roots Of The Mountains', an album worthy of carrying forth the grandiosity of modern progressive metal.